Bringing your fans on the road is rarely an option. But for 19.27 Euros, fans could submit their photo, or a friend’s photo, to the online mosaic and show their support for the team. 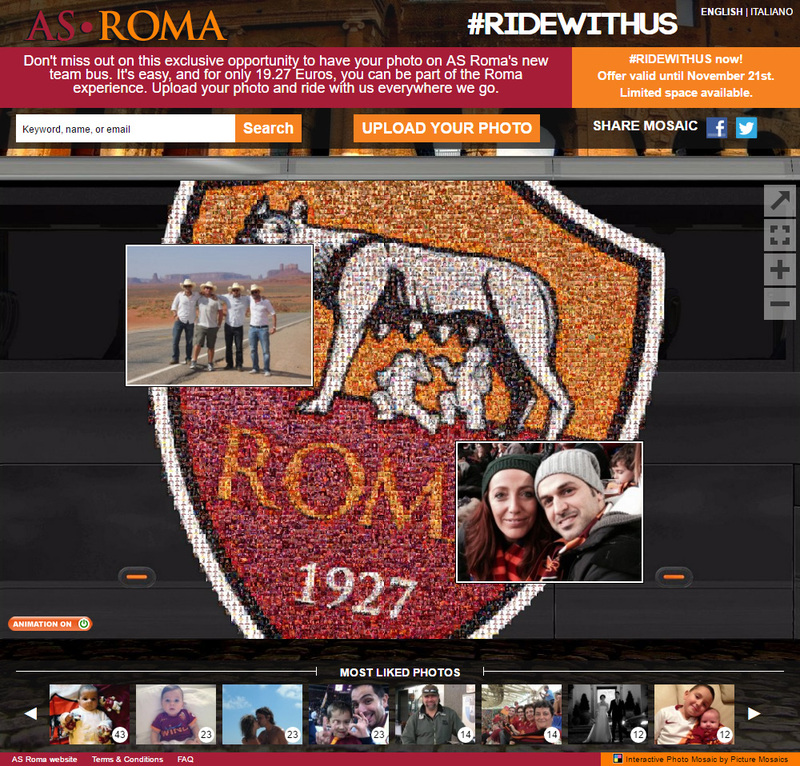 Once completed, the photo mosaic was printed as a huge bus decal that will travel with the team whenever they go. Fans could upload their photos through their computer, phone, or Facebook profile, making it easy to submit photos anywhere. 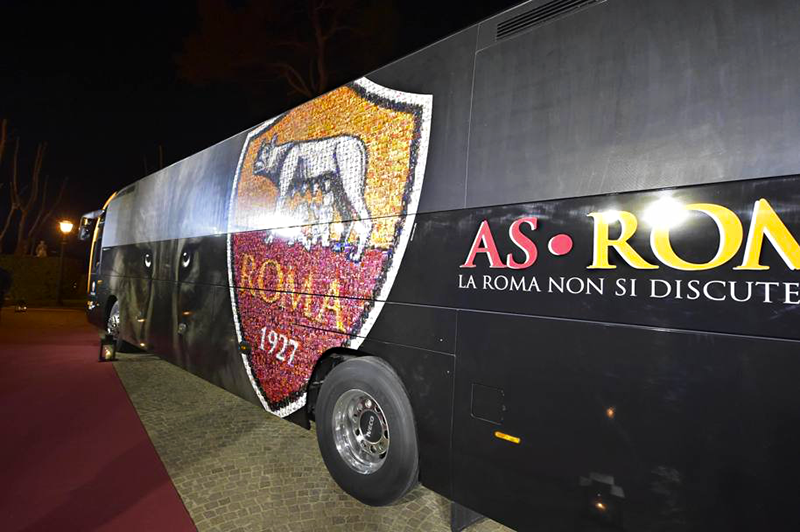 Overall, the campaign was a big success and the photo mosaic decal looks great on the AS ROMA tour bus. 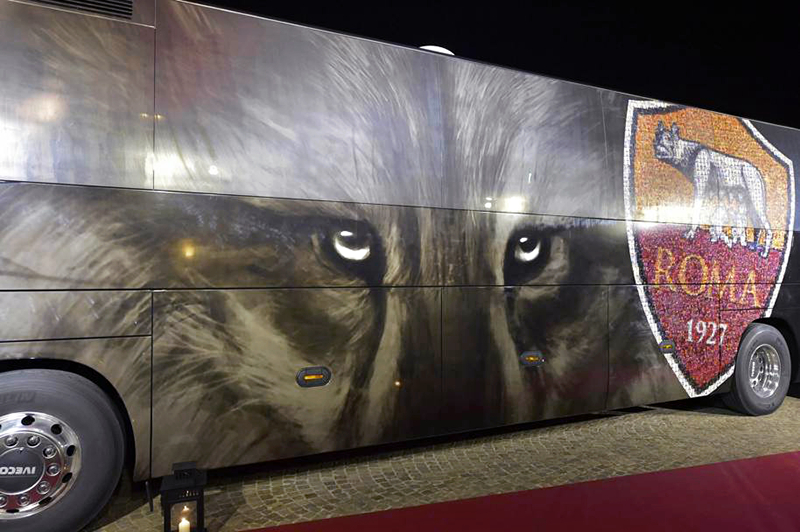 It’s good to know that the AS ROMA team won’t be lonely on the road.